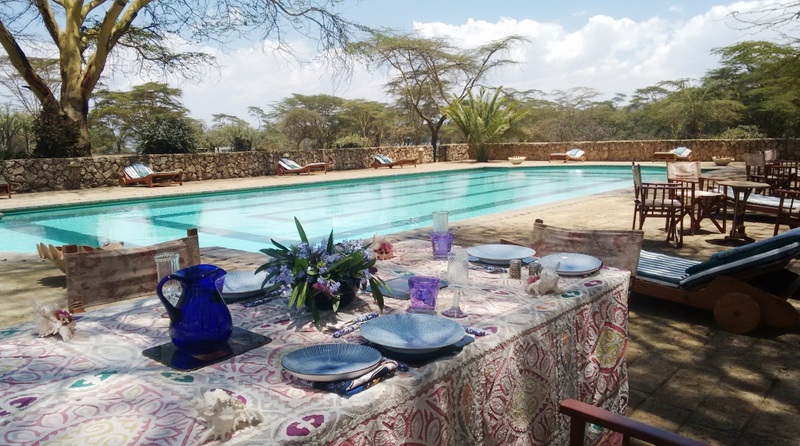 It is an exclusive private wildlife conservancy sitting on an isthmus between Lake Naivasha and Lake Oloidien at an altitude of 6,200 feet or 1,050 metres. With a near perfect microclimate, over 350 species of birds and an average of 1,200 resident animals roaming the grounds it is the perfect place to let go of your busy life! There a two option to experience this magical place! 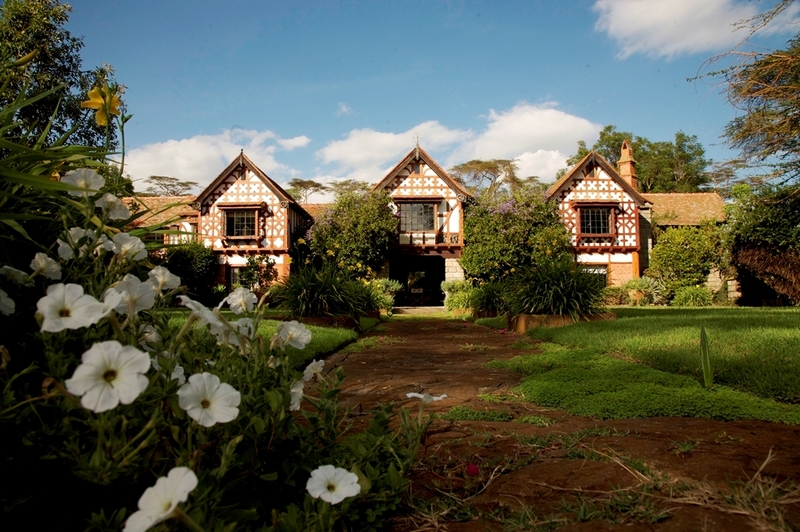 Rated one of the top wildlife retreats in the world, the eight-story 120 foot Tower is one of the most luxurious Kenyan homes frequented by people in search of the unusual. Custom-built by Dodo Cunningham-Reid; it is open to a limited number of guests during the year. 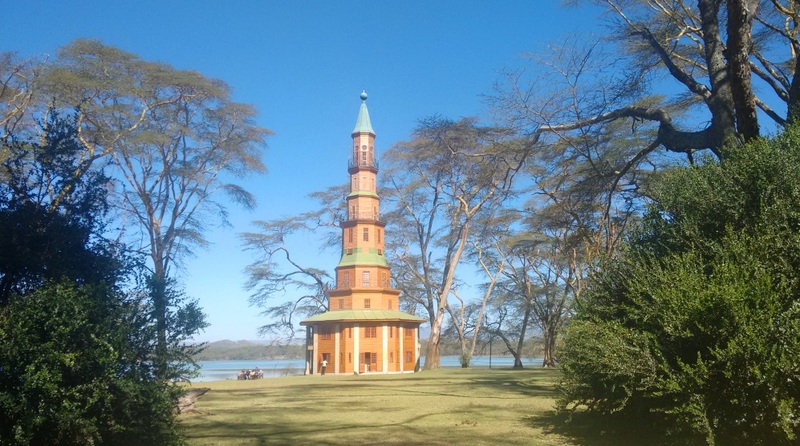 Enjoy breathtaking views over Oloidien Bay and follow at eagle-eye level the movements of the hippos, giraffe and zebra grazing at the foot of the Tower - a magical symphony of peace and tranquility, broken only by the extraordinary birdsong and splashing of water as hippos venture out under the cover of darkness. 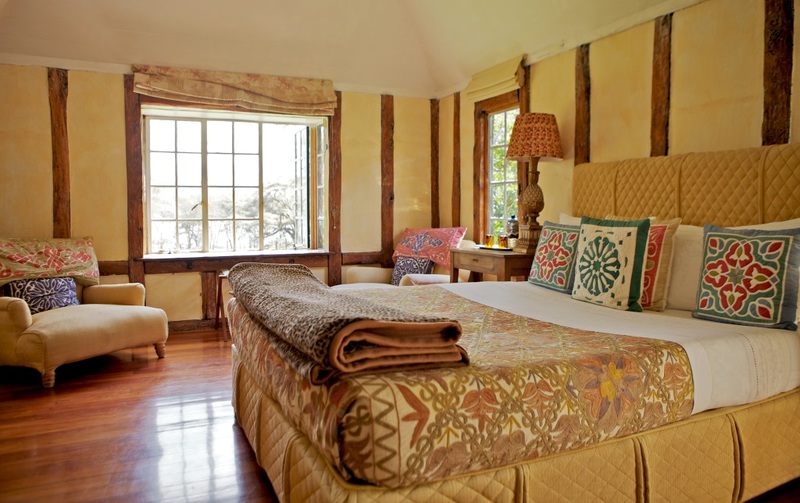 The 1932 Manor house is a classic British country house in Africa where scented roses and lush lawns contrasts sharply with the yellowish dusty tree trunks of the surrounding acacias; the resident buffalo, giraffe, hippo, zebra and gazelle stand out against the soft, cozy comforts of Russian bed linen and warm wooden floors and bathtubs. There are 8 Doubles, and 1 single room, – with two sections at the end ideal for children. 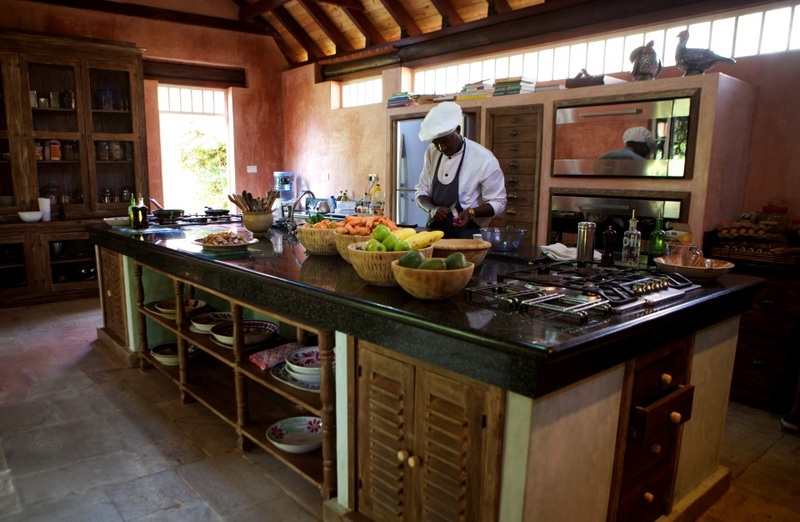 At Hippo Point the kitchen begins in the organic garden growing nature’s bounty in high altitude volcanic soil so we guarantee you will never have tasted vegetables, salads and fruit like this. Our menus are light, healthy and innovative designed to taste great while giving you all the nutrients your body needs; Mornings begin with freshly squeezed juices - both vegetable and fruit if you like- along with home-made muesli, oats, fruit, yogurt, fresh farm eggs and home baked multi-grain bread. Our meats are farm fresh from nearby farms and the fish from the Indian Ocean. Every meal has a little healthy surprise - such as our very own caramelized ginger and vanilla ice cream - an all time favorite with our regular guests. There’s plenty to do on a private African farm from dawn to dusk. Slow game walks or bike rides in the early morning and evening are wonderful and rich with game. More active guests can jog or bike up the hill or opt for a dawn ski on the lake. Horses can be arranged for a lovely ride around the property and surrounding farms. A short walk from the Manor house is a 20 metre swimming pool surrounded by yellow fever trees where Giraffe, Zebra and Buffalo often laze around gently picking at the young shoots - the most delightful backdrop to your time at the pool - whether you’re stretching, doing Yoga or long slow laps in the pool. Our sanctuary is not fenced and shares boundaries with a game reserve so it is abundant with wildlife. Our experienced guides enjoy walking you among the animals - a feeling of being one with nature. The place is also a bird lovers dream with over 500 species of birds. Mountain bikes allow us to stay true to our vision of using cars only when we have to - such as at night to limit contact with large Hippo grazing or to see them on a night drive. Would you like to stay at this absolutely incredible called Hippo Point? Please let us have your dates etc and we will get you the best available prices!